Hi everyone! Welcome to Building Character. I’d like to introduce you to Kate, the main character in STAR OF THE TEAM by Beverly Stowe McClure. Kate, can you tell us a little about you, please? Hi, I’m Kate Taylor, eleven years old, and I live with my mom and older sister, Zoey. My mom’s also the coach for our basketball team, Angels. I was all set for the new basketball season and to win a lot of games, then this new girl, Emily, showed up with an attitude, and we’ve had nothing but trouble since. Uh oh, that doesn’t sound good. What kind of trouble? I have two major conflicts. The first is my tooth. It was knocked out at one of the games. The dentist replanted it but Mom’s afraid it’ll get knocked out again and won’t let me play until the tooth heals. By that time, the season will be over. Then there’s Emily. I don’t want to talk about her, but my mom seems to think she’s great at basketball. I guess she is good, but so am I, if I get the chance to prove it. What are some of the biggest stumbling blocks you’ve encountered trying to overcome these problems? Convincing my mom I can protect the tooth if she’ll let me play has been tough. I’ve tried a couple of things to prove I can. She wasn’t impressed. Actually, they didn’t work too well. I need to come up with a way to prove to her the tooth will be safe. As for Emily, everywhere I turn, she’s there, showing off what a great player she is. Sigh. She’s playing. I’m warming the bench. That must be very hard not being able to play. There must be a bright side, right? What have you learned while trying to resolve your situation? One thing I’ve learned about the problem of who’s star of the team is that I’m not always right. That’s hard to accept. Okay, let’s learn more about you. What are your three favorite leisure activities? Talking to my doll. She understands my problems. Watching sports games live. Hanging with my friends at the ice cream store. I talk to our bunny. She’s a really good listener. What do you want to be when you grow up? I’d like to play basketball in college and maybe in the Olympics. I think being a coach would be great. I’d have mothers listen better to their daughters. Aw, Kate, I’m sure your mom is listening, she’s just concerned for you. Okay, final question. What words of wisdom would you like to share with our readers? Watch out for elbows when you’re playing ball. Thanks for joining us Kate. It’s been fun getting to know you. Readers, here is more information about Kate’s book STAR OF THE TEAM. A girl. A dream. An accident. A dream shattered. 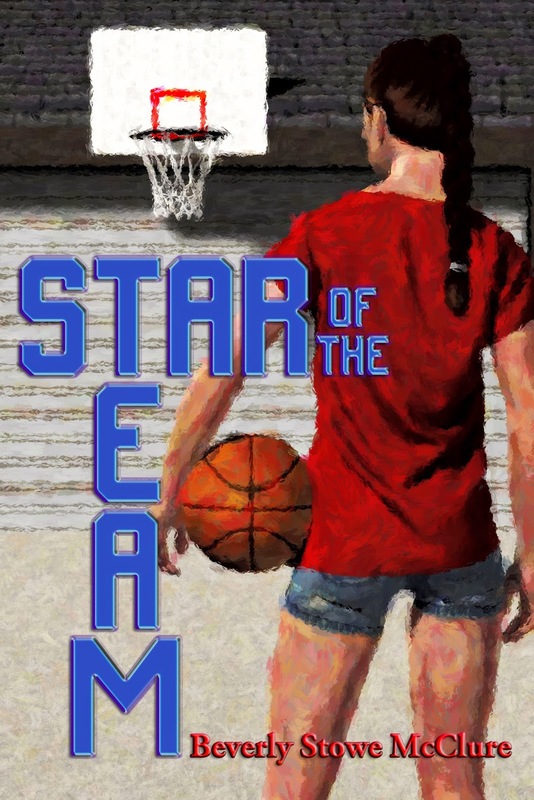 Eleven-year-old Kate Taylor dreams of being the star of her basketball team, Angels. When Kate’s tooth is knocked out at one of the games and her mother, who is also her coach, says she can’t play until the tooth the dentist replants heals, Kate’s dreams are in jeopardy. Add Emily, the new girl at school who claims she’s the best, and Kate faces a challenge to prove that she is the star. Will Kate succeed? Or will Emily ruin Kate’s plans? 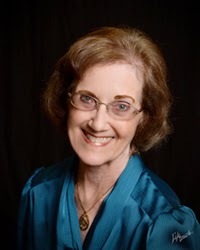 And here is the 411 on Kate’s author, Beverly Stowe McClure. I've got this on my TBR list! How perfect one of Beverly's character is on the blog today. Beverly nominated me for a blogger award and now I'm nominating you Kai. Check out my blog post to see what it's about. Thanks, Katie. (I also have a granddaughter named Katie.) 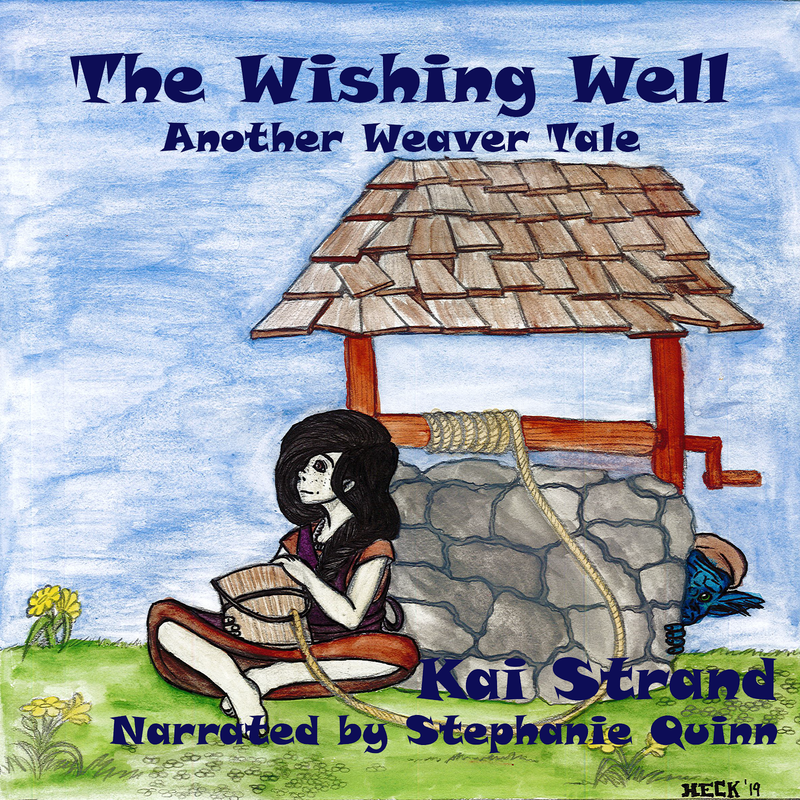 I hope you enjoy the story. Ha - timing is everything. Thanks for the nom. I'll check it out. And enjoy Kate's story. It's a good one. I nominated you too, Kai, but must have forgotten to notify you. Brain asleep. Kate here. Thank you, Ms. Strand, for letting me tell my story and complaints today. I love my mom. She's awesome, even though we don't always agree on things. Beverly here. Thanks for hosting us today, Kai. Your character interviews are so much fun. I'm putting the link on my blog so others can visit. (I hope.) Have a great weekend. Thanks for stopping in, girls. It's a pleasure to host you. Kate, you do have a great mom. I'm glad you realize that and appreciate her. Kate sounds like a great girl to get to know and the book sounds wonderful! I love character interviews. It's fun for the author and the reader. It is so nice to see girls playing sports in a middle grade book! Thanks for visiting Stephanie! Thanks, Stephanie. Character interviews are lots of fun. Maybe. :) Thanks for stopping by, Pat. Hey, wait a minute. Mothers can be good listeners! ;) Thanks for visiting Pat. Oh, no - not a tooth problem. That sounds painful. I'm not sure about talking to a doll. I think I'd prefer a bunny too. I totally agree - mothers should listen to daughters better. Have a great weekend, Beverly & Kai!! What a great little addition to the story behind the story, Beverly. Enjoy your weekend, too, Lexa. <--Oh, hey! I have a character named Lexa in my last Super Villain Academy book that comes out in June. You don't have pink hair too, by chance? Kate here, Meradeth. Nice to meet you too. Nice of you to stop in, Meradeth. Kate sounds like such a great character! I've already read Beverly's story and reviewed it. She writes such super stories for young readers.